Ladies of the BACH is a force to be reckoned with! Our programs, social events, and community service are geared to unite the women of the community by creating a sense of purpose, involvement, volunteerism, and friendship. 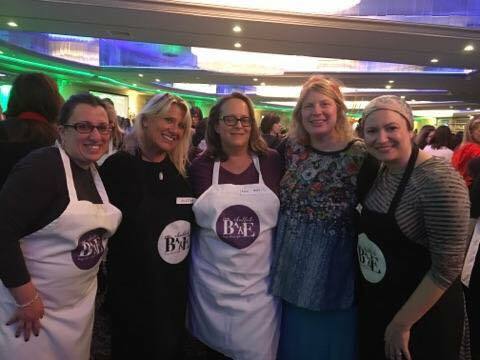 From ladies nights out, to weekly and shabbat learning programs, holiday events, welcome packages, meals for the sick, community service, and purim baskets, the Ladies of the BACH enhances our wider community and brings women together. Our annual membership helps to support our programs and provides you with discounted pricing at our events. Annual membership begins in June and is $36 for the year. Our Lifetime membership is $360 and the ladies lifetime members are proudly on display in our shul on a beautiful plaque. Join the Ladies of the BACH today and stay tuned for lots of fun! to pay for membership by check : make check out to ladies of the bach & mail to POB 389 Long beach, ny 11561. otherwise submit the form below!